Takashi Miike and Hisao Maki make terrible films together! 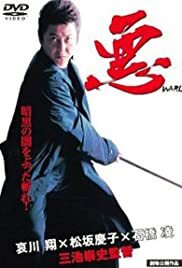 "I'm going to have to agree with another review that I read which states "Takashi Miike and Hisao Maki make terrible films together, and Waru could be the worst." each and every film collaboration of theirs I've seen have suffered from the same problem, which is that they are slow and plodding and without the usual Miike flair. Hisao Maki who is a real Karate expert loves to write himself into his adaptations. Here he serves as the original creator of the '70s manga as well as the screenwriter." Waru in particular seem very disjointed with scenes barely held together with the thinnest of plots. No one including Takashi Miike, Sho Aikawa and Hisao Maki seem to be trying very hard.